Photos taken from digital cameras are often victim of image noise. Removing these noises can become easier if you have a special tool dedicated for that such as Noiseware Community Edition. 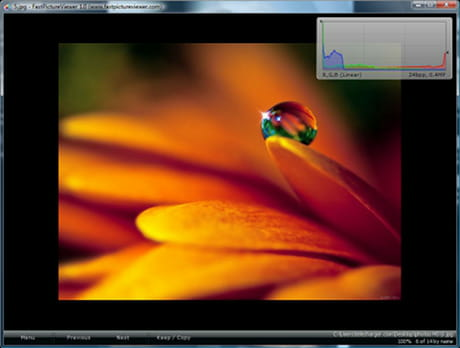 This tool allows deleting image noise radically and quickly. Photo retouching/editing: also used as a photo retouching and editing, Noiseware Community Edition is a tool that enables you to remove noise, grain and other imperfections from your images. For that, you just have to drag and drop a file and process to the removal. Keeping details: being a powerful feature of removing noise, Noiseware Community Edition can also keep the quality and the details in the image that makes it unique. It is integrated with 10 noise filtering presets that make image noise removal faultless. Supported format: so as to better master this tool, you need to know all supported image formats. Here are they: Open JPEG, JPEG, PNG, BMP and TIFF formats. It is worth to note here that these formats are the most used for image. Manual correction: even if the application enables its users to remove image noise in a single click, they can also configure it to operate manually. So then, you can remove them one by one or select just a part to remove. Noiseware Community Edition is an application that is easy to use. Practical for both personal and professional use. It does not work in batch. Latest update on November 15, 2012 at 08:46 AM.